The goal of our challenge is to create fishing lures which achieves best performance especially at tough circumstances. Based on the close observation of nature, we still slog our way pursuing an ultimate beautility. 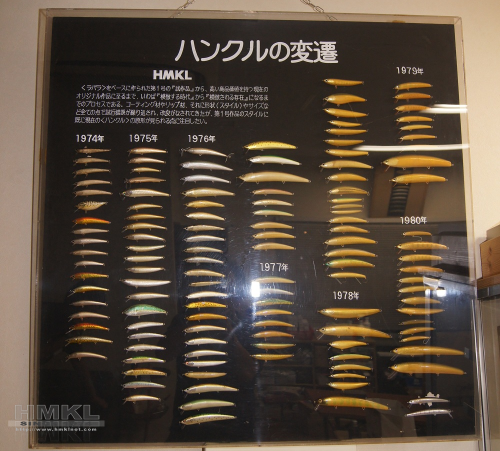 HMKL's lures originated from 1st prototype which was created based on "Rapala". 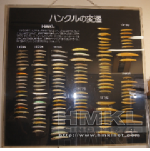 Up to the present date, we have made continuous improvements with trial and error in every point, like material of coating and lip, figure, size and so on, and now we offer wide variety of original products. The figure of our lures is extremely simple, as we regard that every figures in the natural world has its inevitability, chip off ineffectual beauty of form, and pursue beautility. Ever since our company started our first concern has been to create lures which look and act realistically. Now, in additional to this challenge, we also explore more effective combination of colors and actions that provoking predatory activity. For your information, we are proud that "Night rider" and "Ayaya" are satisfying colors in the current lineup. The shape of our lures is lean, because we regard that leaner lures are more effective in tougher situations. Up until now, we have increased our lineup of products developed to fit for behavior of fish species. For the future, we intend to improve usability as well, especially in tough situations.